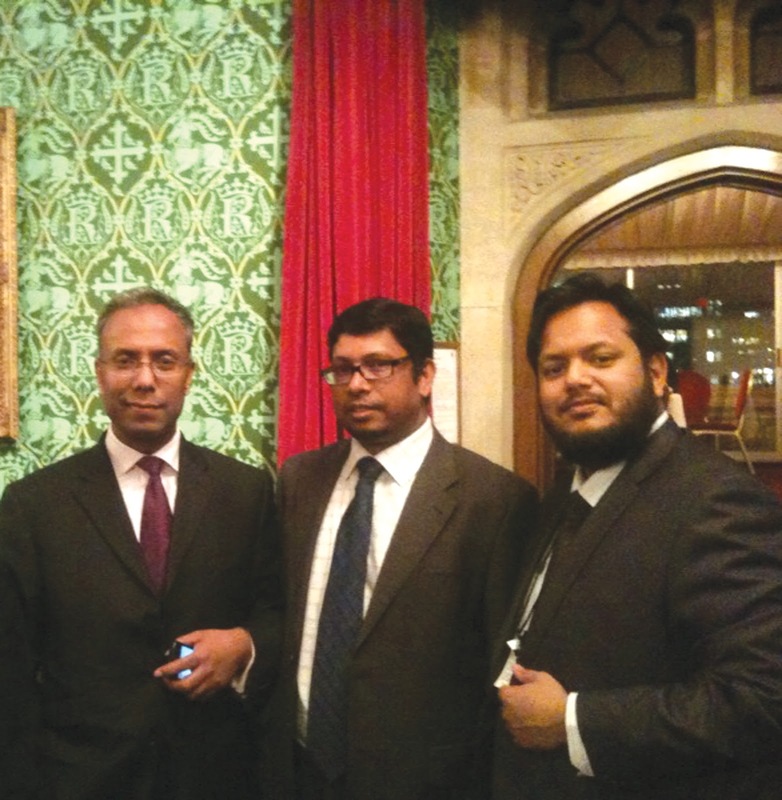 Well, now we know what Mayor Lutfur Rahman is going to use his £599 iPhone 4 for (you can see him holding his new toy in the picture on the left). He’s just set up a Twitter account. It’s here http://twitter.com/MayorLutfur. Watching snow melt is exciting, undoubtedly. We look forward to more of these observations. At the time of writing he is following an eclectic group of 20 people, including Ken Livingstone (of course), Lewisham Mayor Sir Steve Bullock, the Drudge Report, Queen Rania of Jordan and the Dalai Lama. Twitter is an ideal way to get in touch with him directly, so it will also be interesting to see how often he is able to reply. If he’s not careful, our first Twitter mayor could end up spending all day answering people’s queries. Bio A father; a community activist; a social democrat and here to serve the residents of Tower Hamlets as it’s first Directly Elected Mayor. I love how he describes himself as a ”social democrat’, yet to talk to all the trots, livingstone flunkies and respect hangers on he has you would be told how he is ideologically inseparable from Che Guevara. At least he didn’t hyphenate “Directly Elected”, which is a step forward from the election literature. Obviously the grammatical error is “it’s”. Ted, I quite like your journalism – mostly it’s balanced, almost equally directed at all the parties and people. Importantly it’s also more nuanced than Gilligan’s, who rather likes the generalisations, big themes, and sees Islamists everywhere. However, I just don’t get your occasional petty animosity (piss-taking). I’m not a fan of Mayor Lutfur (I’m a Labour member not based in LBTH), but what’s the point in highlighting his snow obervations? I notice you also take the micky out of people’s accents – bordering on racism (Shurely…). Yes there a lot of filth and corruption in TH – it resembles a banana republic, many of the coucnillors shouldn’t even be there (they can’t speak English properly, clueless about public duty, and don’t seek to represent the whole community – highlight those, without the childish comments like this snow post. Thanks, Amin….perhaps this post was just a touch too nuanced. It wasn’t about highlighting his snow observations, but more a childishly simple way of alerting people who read this blog that the new Mayor is now on Twitter. Anyone reading his Twitter site would have made the same observations about his snow remarks. Why? Because they were inane and not really what he should be using Twitter for. I’m convinced that the quality will now improve. Not sure what you mean about taking the mickey out of people’s accents….can you elaborate? Shurely, you can’t be referring to the use of the word “shurely”? If so, I suggest you google the word (http://en.wikipedia.org/wiki/Recurring_in-jokes_in_Private_Eye). A month in Bangladesh?? Shurely shome mishtake…. Even in the origin of the expression, it mocks an accent, and here as it may reasonably be assumed to mock the accent of this Begali guy – it just doesn’t feel right, bordering on racism as I said. I don’t think you are racist, nor that it was deliberate, but an unwitting expression of an inner thought perhaps… And btw, I’m not too fond of political correctness. Just some sensitive things should be left for others to mock. In this case let’s leave mocking his accent to the younger Bengalis, they’ll do a good highlighting how many of these people are totally unsuited to British political life. Amin, I think your mishtake is comical and bordering on the paranoid ridiculous. I take it you don’t read Private Eye? It’s nothing to do with accents. Nor unwitting inner thoughts. So you see even the original usage was mocking an accent, perhaps you should read the content of the links you provide – before you dismiss people stating the obvious. Others pointing to our mistakes and faults is not an easy thing to accept, so I understand your dismissive attitude. Btw, I merely said ‘unwitting’ – there’s no need to take it so personally. Just something for you to note. From the ridiculous to the absurd. I feel like I’ve been sucked into some sub-standard student debate. So that’s the last word. Interesting that you don’t actually respond to the actual point… which says it all really. The facts of the expression cannot be denied, there is a linkage to mocking accents – in this case (perhaps unwittingly) you used it to mock a guy with a bad English accent. That I raise it has irritated you, and you dismiss it by deriding the fact I raised it. A typo on a Twitter account warrants an article, Ted? Really? Oli Rahman seems to have appeared on twitter at the same time. I hope for Lutfur’s sake he’s not ghosting his account. Ted, is this acceptable to you? “Slappers” and “betel nut crew”? No, it’s not. That shouldn’t have been approved. Thanks for highlighting. That chap on the right has had his fair share of curries hasant he? S&BT’s new Gilbert n George, only hetero…and iPhones replacing brollies/hats! Ted is continuously providing us with news on Tower Hamlets. Even if it appears petty and not factual at times, his delivery is second to none. We should all make corrections to his comments instead of criticising his rather spicy and sensationalised style of journalism! The degree of attacks on TH politicians vary of course; those in power must always be on their guard, for some unwounded also bite! I agree. I think Ted Jeory provides a timely, succinct, enlightening and entertaining summary of goings on in our borough. Indeed, for many people I know reading a Trial by Jeory update is one of the highlights of their day and a welcome distraction from the “evils of Christmas”!!! Aw…peace and love, James, peace and love. I’m surprised nobody has picked up n the inappopriate use of the semi-colons. Which is ironic considering his mates in the IFE’s disdain for the ‘inappropriate use of colons’…..
Harun rashid – one too many curries. on December 24, 2010 at 9:24 am You couldn't make it up! As always the rabble are taking pot shots at each other and Ted and missing the story! Really? Seriously? Maybe some training in the use of the apostrophe required? This is really interesting, so many experts in English grammar suddenly emerging. Where did he get his apostrophe wrong? on December 24, 2010 at 12:17 pm You couldn't make it up! Below is the implication of the apostrophes as used. I’m taking ‘c’ to mean ‘council’ since there’s no other obvious meaning. Try saying these out loud maybe? Hence why I asked whether he was serious! What you demonstrated was his use of double negatives, and thus stating opposite of what he intended. Plus this is twitter, so occasional txt speak is not only allowed – but expected. I’m not an expert, I’d much rather defer to your expert knowledge. Please explain the problem his his use of the apostrophe. on December 24, 2010 at 1:06 pm You couldn't make it up! They’re only double negatives BECAUSE of the use of the apostrophe. Got it now? If you’re the Mayor of a Council it’s generally a good idea to be very careful that your textspeak cannot be misconstrued. It’s also not a bad idea to think before you speak – or before you text and to review what you’ve written! It would help if you explain/illustrate your point. I still don’t see how him using an apostrophe caused a double negative. I really am fascinated by this stuff – Simon Heffer was once asked to spot 20 gramatical errors at an interview, he spotted 22 and got the job. on December 24, 2010 at 9:29 am You couldn't make it up! Now I guess that must be because he’s got a Head of Communications paid £100k to help him get the message out about LBTH and the challenges he faces. People are missing the point. The mayor’s Twitter account is not written by LR, the same applies to his Facebook account, someone else is posting on his behalf (with his permission I assume). on December 24, 2010 at 4:43 pm You couldn't make it up! Why should we think that it is not his account? The other councillors/cabinet members who have hitherto tweeted in Tower Hamlets are those Councillors. Obviously they find time to do their jobs and manage their tweets for themselves! If the tweets are from his office and not him it should say so – otherwise it’s a deception. After all, there’s lots of people who masquerade as individuals on Twitter without the permission of the people they lampoon – hence why Twitter has a verification service. Those which are corporate tweets usually use a corporate Twitter ID. For example the Prince of Wales Twitter ID is called “Clarence House” which means it’s from the Press Office that services him. Twitter IDs which suggest that they are personal SHOULD be that person – otherwise it’s very misleading. It also potentially becomes a rich vein of comment for those who want to poke fun! If it’s not him it’s very likely that we’ll start seeing a number of alternative Mayor Lutfur Twitter IDs! So – just as a matter of interest- why did nobody think to create a Twitter ID called MayorLutfursOffice? @LBTH_concerned: Bottom line – aren’t you the one who is missing the point? WHOEVER Is doing the tweeting should be able to demonstrate a good command of the basic rules of the English language – both to set a good example to the kids of the borough and to avoid any misunderstanding. That’s the very best reason why politicians and public figures might get others to tweet for them – to avoid embrassing slip-ups with spelling and saying the wrong thing – if that’s what they’re liable to do. “You couldn’t make it up”; I do agree with you, that people should use a good command of basic English, but twitter is full of text speak, and some people especially LBTH politicians do not have a good command of English, therein lies the problem. So there’s no point in pontificating and trying to split hairs. I am sure someone will say I have used to many commas in my sentences. Happy Christmas! on December 24, 2010 at 4:20 pm You couldn't make it up! The apostrophes is being used in this instance to create a list associated with the subject/verb – in this case “we are fighting”. On the other hand, with a bit more thought, he could have said, for example…. What we want is minimal redudancies. What we want is no rise in the council tax. All of which makes complete sense. It has occurred to me that there’s another aspect that Mayor Rahman doesn’t get as yet. The Government is of course protecting the public in general from ANY council tax rises in April 2011 by making £650 million available to enable a one year freeze on council tax. So I’m not quite sure why he needs to be fighting to achieve that! The way it works is that councils that choose to freeze council tax get the equivalent of a 2.5 per cent increase in funding. If LBTH does not freeze council tax it gives away its access to that funding – which makes it a double whammy for council tax payers an increase in tax AND a loss of funding. You can get a A Plain English Guide to the Local Government Finance Settlement for 2011-12 from http://www.communities.gov.uk/documents/localgovernment/pdf/1796186.pdf. Thanks for that. I don’t know if you’re a Hizbut Tahrir member or what.. but that sounds like a long winded explanation (a la HT) of something that isn’t related to the apostrophe question at all. What a long illustration for no reason. But I guess that makes one sound clever. It’s funny you mention the plain English Guide – surely the only problem was his double negative use, and no problem whatsoever with his usage of the apostrophe. And why do you mention apostrophes when he only used the punctuation mark once? All of the examples you give of how he should have written his tweet, are nothing to do with his apostrophe use (misuse) at all. Rather it is his sentence construction and avoiding double negatives. He used the apostrophe as it should be used, in this case for a contraction. That’s the plain English way of looking at it. Focussing away from the grammar and onto the council tax freeze – the problem for many councils will be that the overall funding cuts that they are facing will be greater than the increased funding they may get from central government to assist with freezing the council tax. This is especially a problem as the funding cuts are frontloaded so the most drastic cuts are in the first year – the same year as the government is offering money to freeze council tax. Even after drastic cuts in staffing it may make it very difficult, if not impossible, not to have to increase council tax. Plus there’s the GLA levy which I imagine will go up, plus the Fire Service levy (which I think gets added to our council tax bills). So I’m not holding my breath for a frozen bill in March. How the money gets spent, however (cf. iPhones) is another matter. on December 27, 2010 at 11:15 am You couldn't make it up! Anybody else think Amin “doth protest too much” because he is actually the writer of MayorLutfur? No link to Lutfur Rahman, he’s not really different to Abbas. Don’t know what all the fuss was about – other than personality politics, with Bengali spice (dirty village politics). My only point in commenting was to expose the pretentiousness of commenters here who seem to always find faults in others, without looking at their own self. It’s especially hilarious when they find faults in English grammar which don’t actually exist! When you ask them exactly what the problem was – they explain something else. Summarises the problem with many in Tower Hamlets, and weirdly the antics of HT members. If I was writing the Mayor’s tweets, I wouldn’t be writing ‘Directly Elected Mayor’ in caps. I still can’t see the purpose of that… it seems wrong to me. It also seems very wrong to me, I agree. His whole biography on Twitter looks extremely unpolished. Again, what on earth is Takki Sulaiman doing for his £100k a year as head of council communications? How did he allow such mistakes to go through?